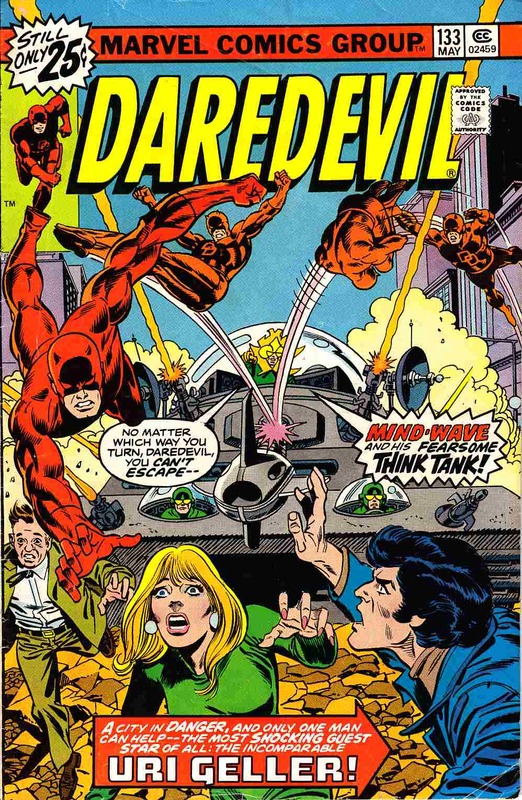 "Mind-Wave and His Fearsome Think Tank" Written by Marv Wolfman. Pencils by Bob Brown. Inks by Jim Mooney. Cover pencils by Gil Kane with inks by Frank Giacoia. Starring Uri Geller. DD and a real life psychic take on the nefarious schemes of Mind-Wave. Letters page has a profile and photo of Uri Geller as well as a psychic drawing he did with Marv Wolfman. First appearance of Mind-Wave.